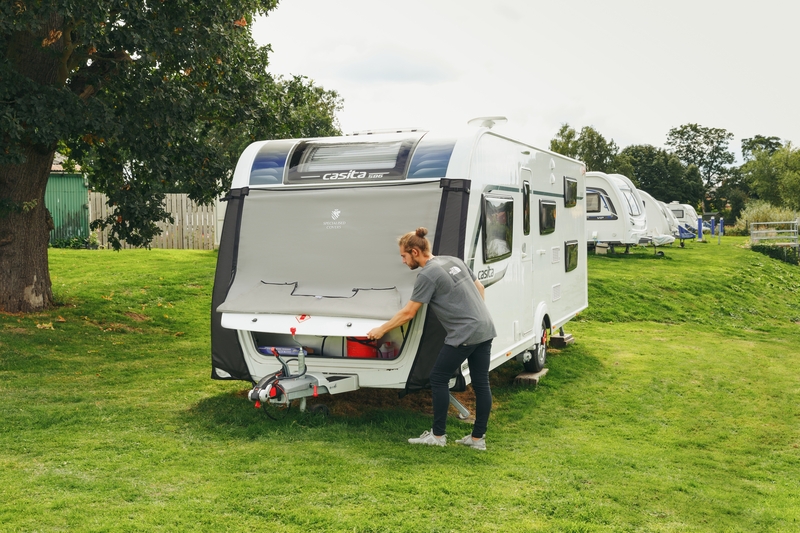 The Tow Pro+ fits easily and quickly into the awning channels and one simple zip at the side allows one person to fit the cover in just a couple of minutes. 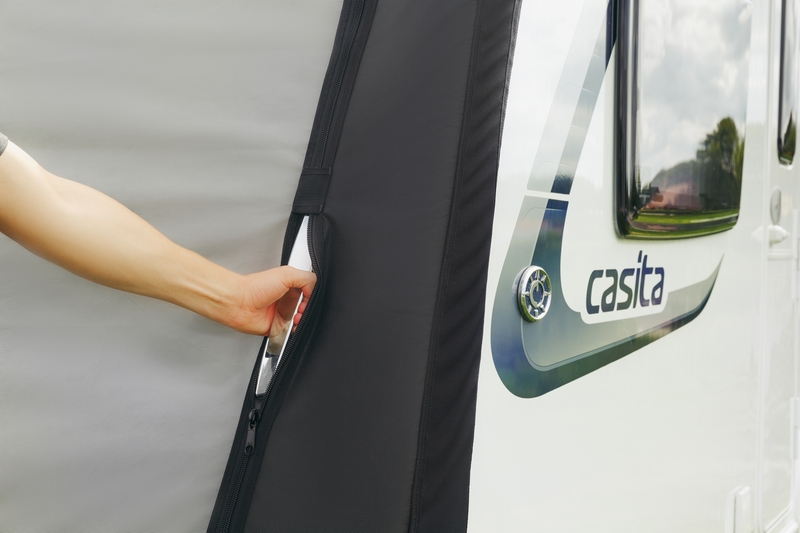 Made from waterproof, breathable fabric our Tow Pro + has a fleece inner for added protection against stones and chips that can fly up and damage your caravan. The stretchy sides help create a perfect fit, while small clips fit to the lip of the underside of the van to ensure dirt cannot fly up from underneath. The tailored fit also means that your own vans lights will shine through the Perspex eyes. 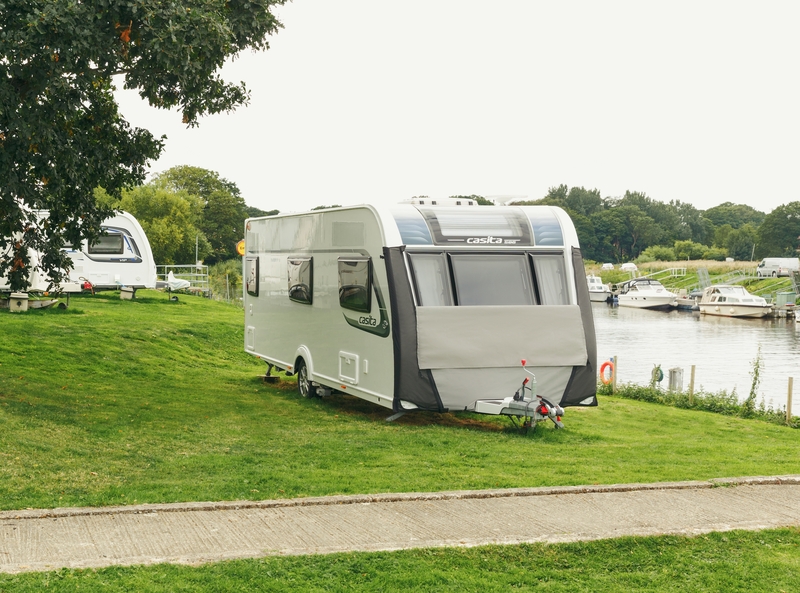 Our range of tailored towing protectors are trusted by the biggest names in the industry including Coachman, Swift, Lunar, Bailey and Elddis, and all of our products are designed and manufactured right here in our Yorkshire factory. 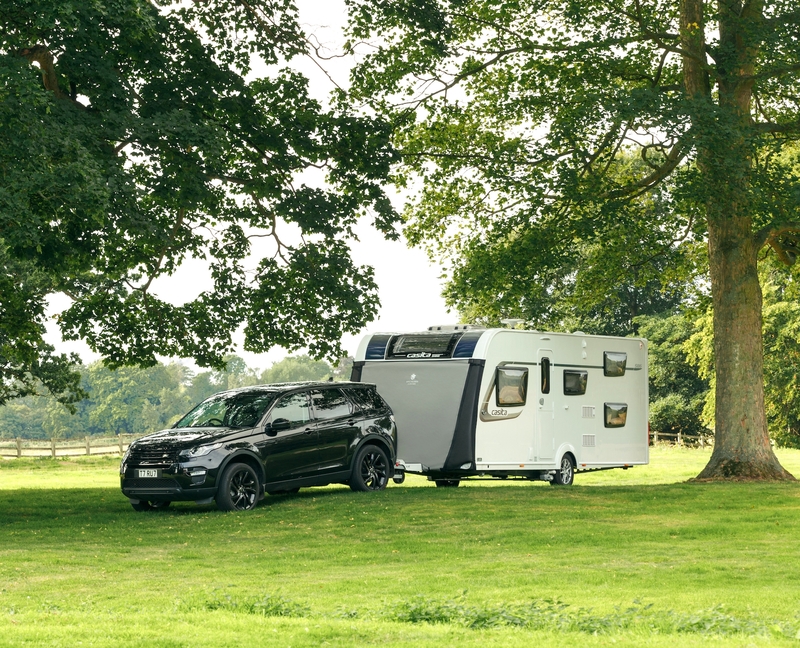 Using a towing protector whilst on the road will protect your van from dirt; meaning less time cleaning it when you get to site, and protection from stone damage; so you can save yourself from costly repair bills and depreciation in the value of your caravan. All of our towing protectors also come will a 1 Year Manufaturer's Warranty for added protection. For more information on the Tow Pro+, or any of our towing protectors, click here. Alternatively, call our friendly, helpful team on 01943 864 646 who can advise on the best cover for your caravanning needs!